Tula de Allende is a town and one of the 84 municipalities of Hidalgo in central-eastern Mexico. The municipality covers an area of 305.8 km², and as of 2010, the municipality had a total population of 103,919. 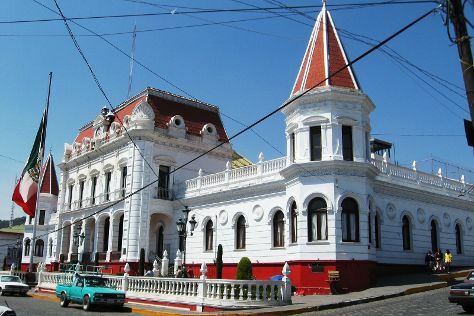 The municipality includes numerous smaller outlying towns, the largest of which are El Llano, San Marcos, and San Miguel Vindho. It is a regional economic center and one of Mexico’s fastest growing cities. However, it is best known as the home of the Tula archeological site, noted for its Atlantean figures. Its built-up area made up of Atotonilco de Tula, Atitalaquia, Tlaxcoapan municipalities was home to 188,659 inhabitants at the 2010 census.City of Tula de AllendeThe city of Tula de Allende was built on what was the southern extension of the ancient city of Tula, centered on a former monastery built by the Spanish in the 16th century. The modern city is still connected to the ancient ruins as it is an important tourist attraction as well as a symbol of the city, especially the warrior figures located on the Quetzalcoatl pyramid. Toltec finds are not uncommon underneath the modern city. In 2009, Toltec burials from 900-1100CE were found under Tula-Iturbe Boulevard along with several kilns for firing pottery. Tula de Allende is in Hidalgo. Add Tula de Allende and other destinations in Mexico to your travel plans using our Mexico trip planning website .